Scholastic brings us some new picture books with bonus CD’s. Catchy tunes will have you singing and dancing along to the stories. If you want fun and a good laugh, this is cool. It is great as a book to read-aloud, read by yourself, or sing along to the wonderful Topp Twins. We had a heap of fun with this at my school this week. I gave the book to some teachers who held up the book show-casing Jenny Cooper’s gorgeously cute pictures while the music played loudly for everyone to hear and sing along. 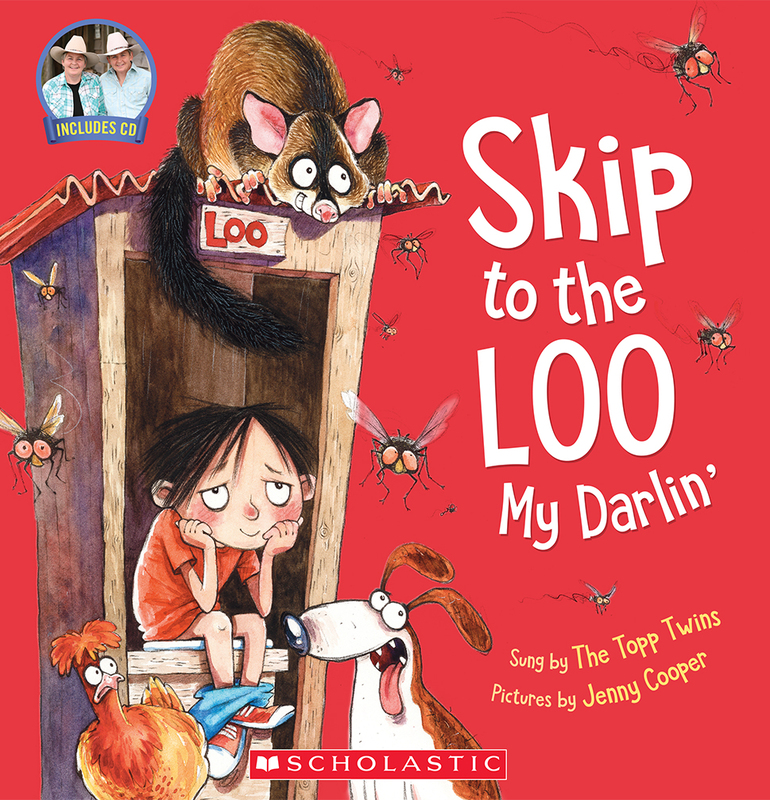 For whatever reason over took me, I would skip past the children every time the words “Skip to the loo my Darlin'” came along. Lots of giggles. Lot of animal sounds were also made, although I didn’t do so well as a possum, I have to tell you. I can see this book being played out and peformed in assemblies. Lots of fun to create their own little animal sounds and heaps of skipping. There is something special about Jenny Cooper’s illustrations, too. The kind of pictures that warm the heart. This is going to be a hit in schools and pre-schools and family fun times. We’ve got a boat combines a fun story about boating and ends with facts about The America’s Cup and photos of our proud sailors. Readers can be entertained by the story and then learn a little of the history of the cup and some of our wonderful winning moments. 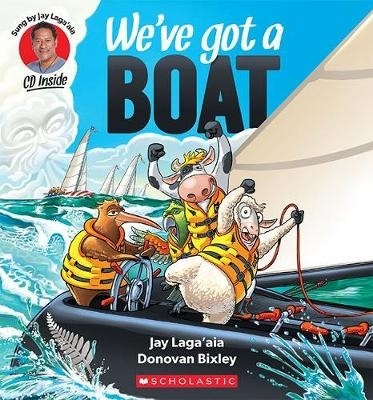 The chorus is catchy and you can’t help but want to sing loudly and proudly as we celebrate out boating skills and kiwi crew; here they are kiwi, sheep and cow demonstrating their expertise on the water. Donovan Bixley provides his iconic quirky New Zealand animal illustrations. A perfect book for summer holidays with all the blue sea and sunny skies. Pre-school and primary school teachers are always looking for good music to sing and dance along for morning PE sessions and this one fits the bill. A catchy song that almost everyone knows but here with a kiwi twist. Written and sung in English and Maori, which adds to the appeal. 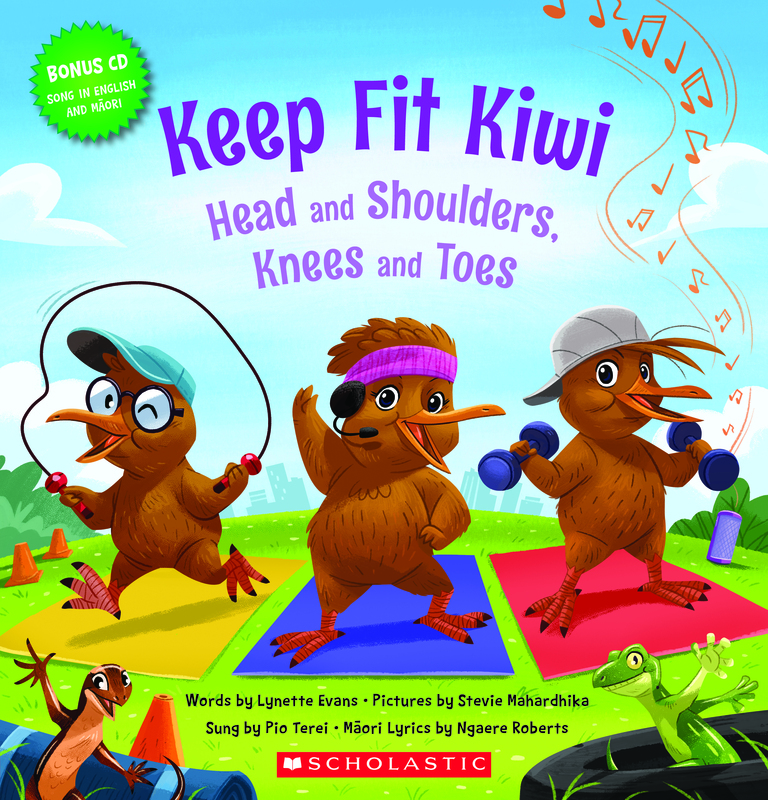 The illustrated characters all have cheeky, friendly smiles, which just goes to show you that exercise is fun. Music and exercise is always a good combination, especially when encouraging children to step away from devices and enjoy a bit of exercise and fresh air. Another good resource for schools.